Those words by legendary former IU president Herman B Wells capture the power of an IU education. We encourage your big ambitions. We empower you every way we can. We give you as many opportunities as possible—in the IU academic experience and Hoosier life—to learn, get experience, grow, and prepare for the rest of your life. Like you, we don’t rest on our laurels. We’re always exploring, discovering, innovating. Because we feel the same way about our university that we do about your potential: The sky’s the limit. What are undergraduate courses like? Whatever your passion is, we want to help you find it and dive right in—starting with our designed-to-be-combined academic programs. Focus deeply on one field and take advantage of every academic opportunity we have for you, or cast your net wide and explore several interests, no matter how far-flung. Either way, our faculty and advisors will support you, and so will your peers. Our curriculum ensures that undergraduates develop essential skills—such as critical thinking, communication, and problem solving—and a deep understanding of the human condition, plus in-depth knowledge and skills in their chosen field. At IU, you’re a member of a community of high achievers and hard workers who want to change the world. What amazing things will you do here? IU alumnus and Breaking Bad and Better Call Saul star Jonathan Banks is one of many high-profile alums who return to campus to teach classes, give lectures, and meet with students. Our faculty members are pioneers in their fields. They are researchers who identify and take on grand challenges facing society, and who make new discoveries all the time, often with students’ help. They are teachers who take pride in sharing their expertise. And they are mentors whose investment in your success is palpable in every class, one-on-one meeting, and work session. Debate foreign policy with Lee Hamilton, who served 34 years in the U.S. House of Representatives. Investigate the stigma of mental illness with renowned sociologist Bernice Pescosolido. Brainstorm best practices for data privacy with cybersecurity expert Fred Cate. Who will your mentor be? Our academic offerings are constantly evolving to meet new needs in the state, nation, and world and to prepare you for the careers of tomorrow. Recently we’ve created several new schools, including the IU Hamilton Lugar School of Global and International Studies, The Media School, and the IU Eskenazi School of Art, Architecture, and Design. We’ve expanded our online programs. And we’ve launched new programs, like intelligent systems engineering, in growing and in-demand fields. It’s a good time to be a Hoosier. An IU education spans traditional boundaries. 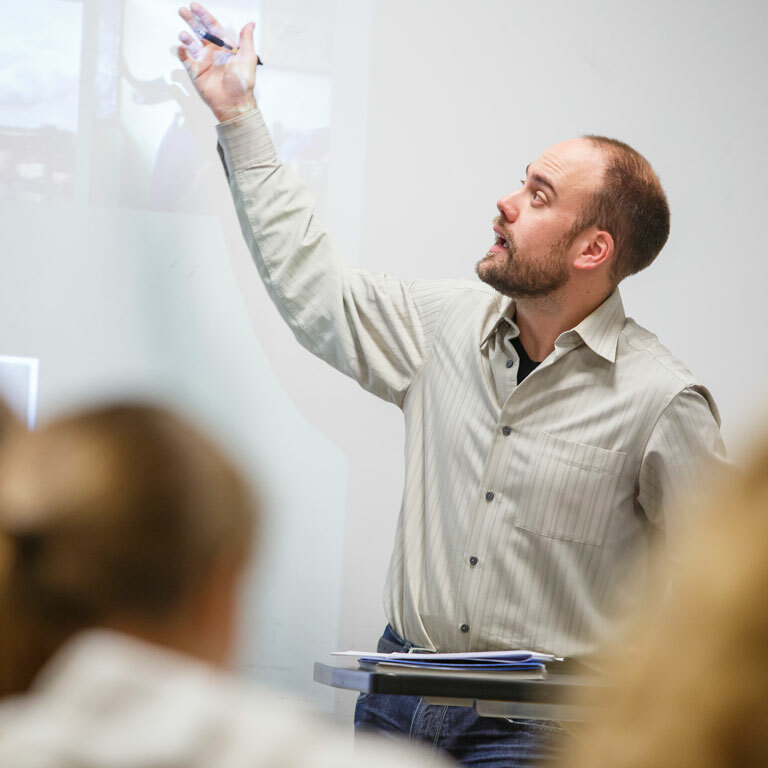 From our research centers to the Liberal Arts and Management Program to the Integrated Program in the Environment, our faculty members and students unite across disciplines because they recognize that big goals require diverse teams.